INXY – dedicated servers, CDN, cloud solutions: How to Increase Server Efficiency? How to Increase Server Efficiency? Even if you have a top-notch server, one day you may realize its efficiency is not enough to complete tasks. Data-centers take care of cooling, power consumption and performance, but you can also do a few things to improve work of your server. Let’s observe three main methods of improvement of server efficiency. Don’t want to buy extra servers and invest into infrastructure? Then get the most from the existing one. This is possible with the help of virtualization. Virtual server is a computer that performs functions of several machines. Special software virtually divides one hard disk into several parts each of which can act like a separate hard drive. Thanks to that, you can use several OS on one machine saving space and reducing expenses. Management tools help optimizing performance relatively to power consumption and increase uptime. Different tools serve for different purposes, for instance, some of them help with power management policies while others help to maximize available resources. Some tools allow monitoring server characteristics and state in data center. Taking into account the workload of other servers you can distribute the resources to that to achieve maximum capacity. 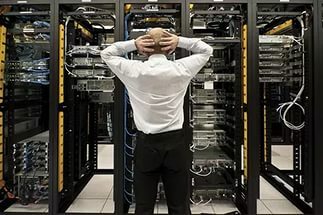 If your server is not powerful enough, maybe it’s high time to order a more advanced solution? Refreshment of server is a nice way to boost efficiency. Invest into the newest models that provide better CPU and higher energy efficiency. Professionals recommend renewing servers every three years to make sure that your organization has enough resources. Even if characteristics and resources exceed your requirements, with fresh models of servers you will be prepared for the future. But before opting for this or that solution, make sure that you invest into servers tailored to your needs and optimized for your applications. If you work with a well established company, don’t hesitate to ask whether it has some newer solutions and servers. Be proactive and choose servers that will be useful both now and in a couple of years. The above mentioned methods will help you to get maximum out of your hardware. Does the number of PoPs matter for CDN quality?